The festival of lights is back again! No need for long paragraphs saying Diwali brings in joy and happiness and teaches the traditional values to the younger generation….. Whatever said and done, not said and not done – Diwali or Deepavali in Tamil, brings in loads of sweets and tonnes of savouries – to relish and eat and ofcourse over eat! So, let’s plunge into some special sweets and savouries one after the other in the coming week. 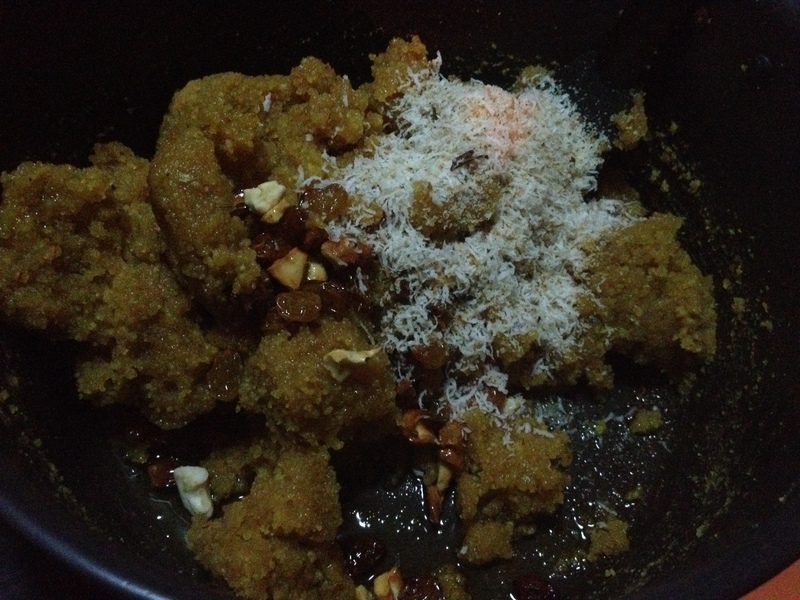 Today it is Okkarai or Ukkarai – a Halwa with two/three lentils and jaggery. 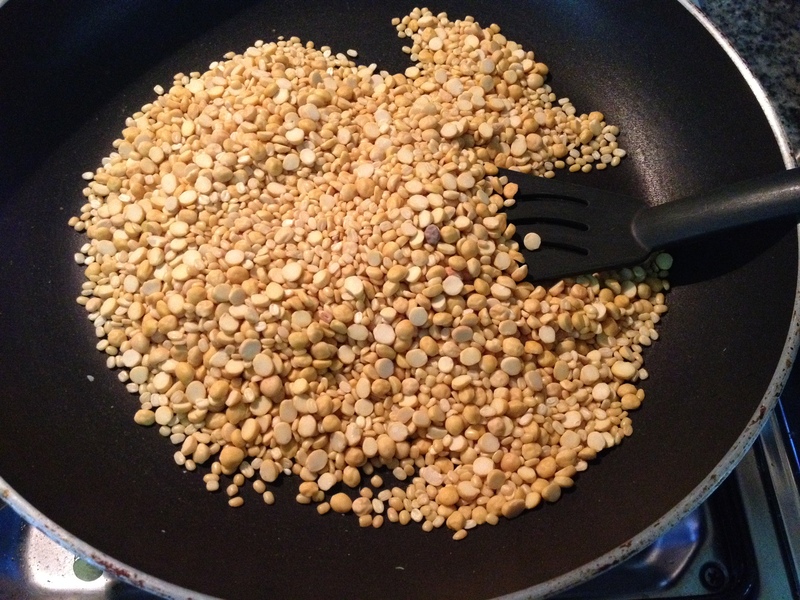 Some make it with all the three basic lentils of an Indian kitchen – red lentil, dehusked green gram and bengal gram or a combination of two of these or just bengal gram. 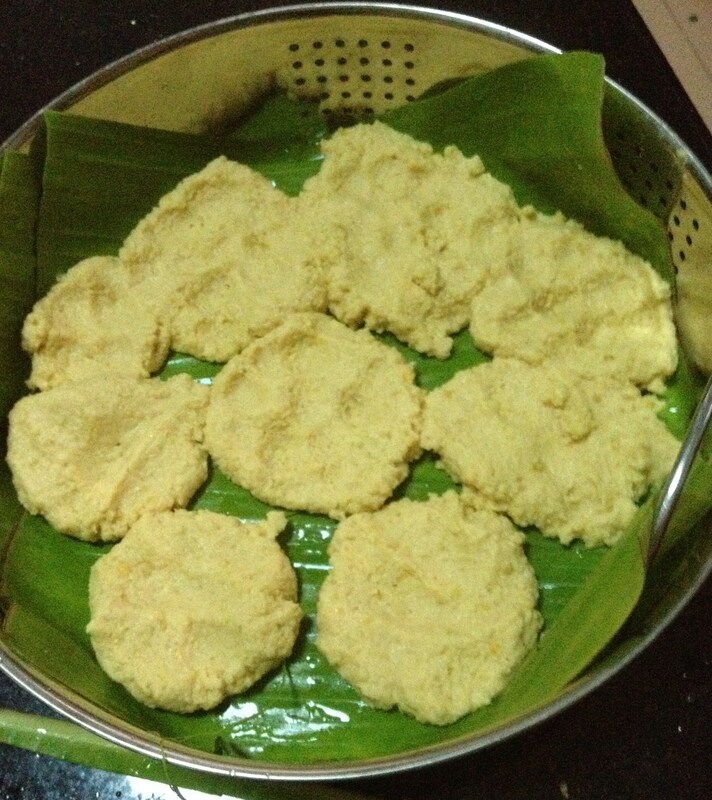 Though amma does not make okkarai, I was re-introduced to this exquisite sweet by my friend Lakshmi in Chennai. When my daughter was very small and we lived in the same locality as theirs, we used to be treated with Okkarai very often and it became one of my daughter’s favourites. The beautiful brown colour, the aroma of clarified butter with the fried nuts added and the flavour of lentils mixed jaggery is just exotic with no words to explain. Lakshmi, I never knew the effort that was involved in Okkarai until I made it now. So, it is a rekindled, more respectful thanks for the strain you put yourself to! 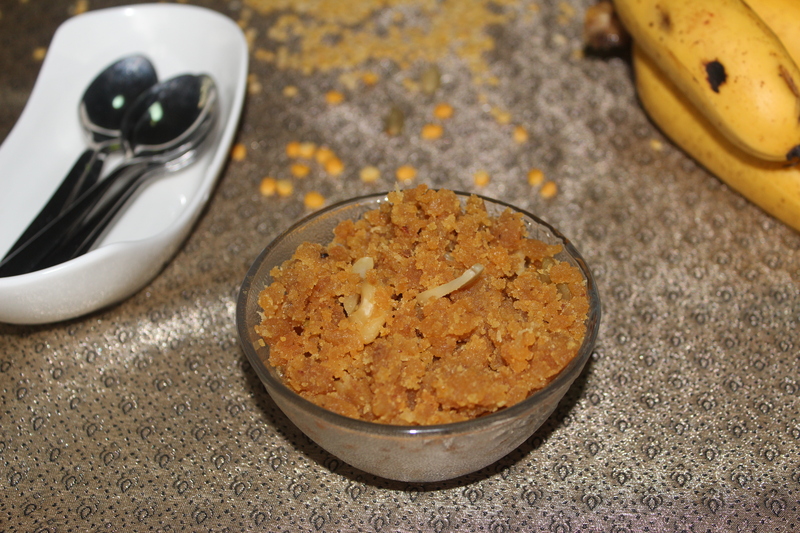 In Rajasthani cuisine, Moong Dhal Halwa occupies a special place. To me, it is one of best desserts of Indian Cuisine. 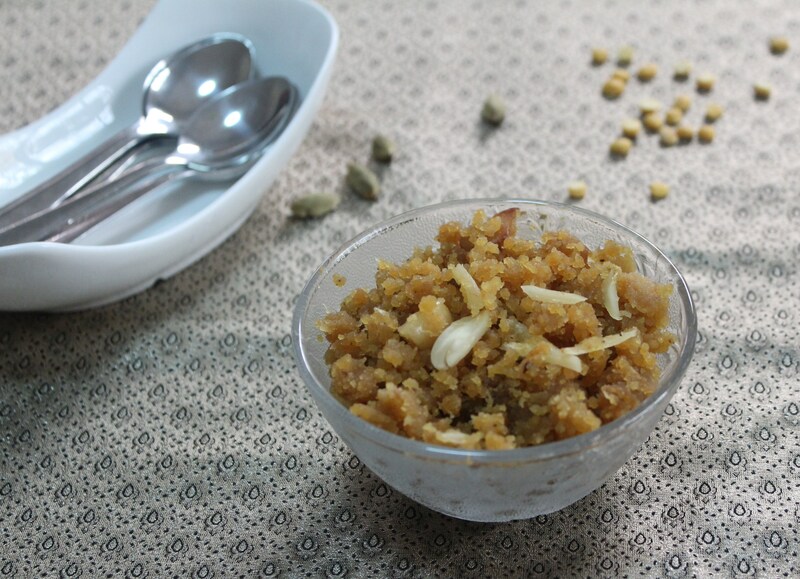 I should confess, anyone can swap their home made moong dhal halwa/dehusked green gram halwa – rajasthani style – with the best of my pattu/silk sarees (or my husband’s favourite suits)!! Quantity of nei/clarified butter can be altered. I love nei in my sweets – hence this quantity. If one prefers lesser clarified butter -feel free to reduce it. 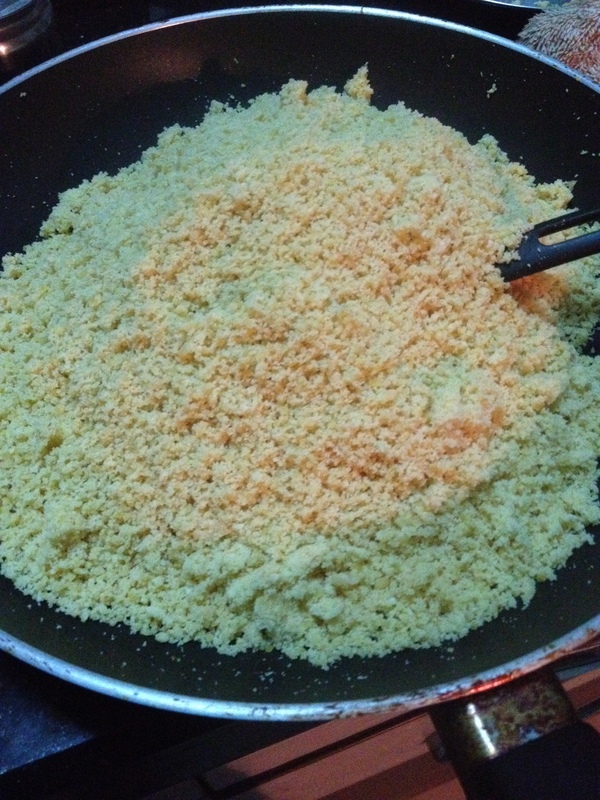 The texture of ukkarai would be slightly powdery – like Puttu (steamed rice cylinders) and hence, okkarai is also called ‘Paruppu Puttu’, I learnt it now. 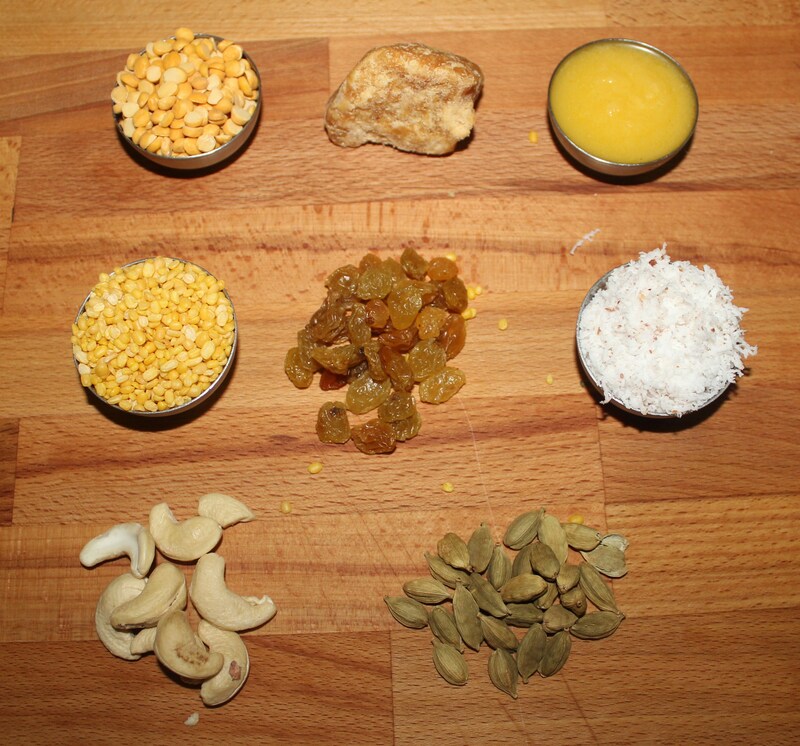 Hi Subu, Thanks .Very good work, keep us updating with all the great recipes. Wishing you and your family a very Happy & Prosperous Diwali. Best Wishes from Dave & Soni Gurnani. So nice to hear from you Soniji! Heartiest Diwali Wishes to your family!